With increasing awareness and acceptance of safety technologies in vehicles, India is emerging as a focus market for airbags, Anti-lock Brake Systems (ABS) and Electronic Stability Control (ESC). 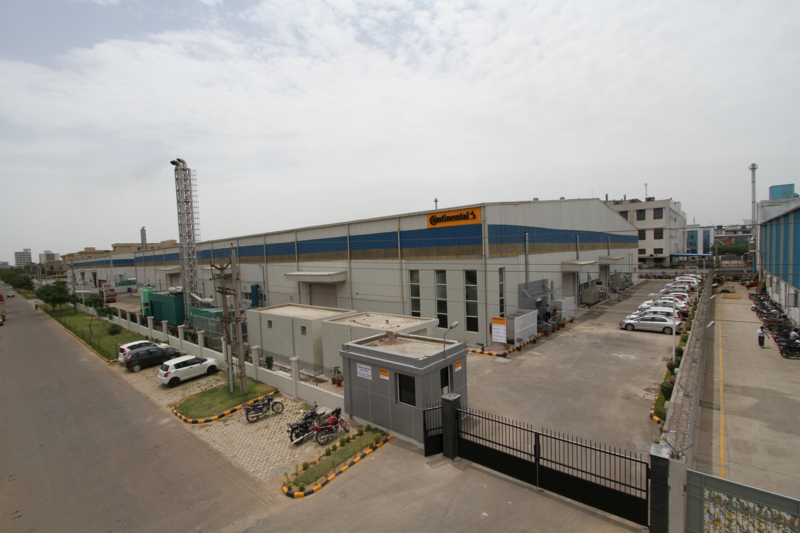 The Chassis & Safety Division of international automotive supplier Continental will start within 2016 the production of ABS and ESC units in India. A new assembly line for ABS and ESC for passenger cars and later ABS for two-wheelers will be located in the existing Continental Automotive Brake Systems plant in Gurgaon, Haryana. The local production start of the Electronic Control Unit (ECU) is planned for the year 2018 in Bangalore. The company is targeting the delivery of its first localized ABS/ESC products for India to a leading vehicle manufacturer, by the end of 2016. “The Indian market is one of the world’s largest markets for compact cars and two-wheelers. By producing these systems in the market, for the market, we are matching our portfolio to the requirements of our local customers, while keeping our technologies affordable", said Felix Bietenbeck, Head of Continental’s business unit Vehicle Dynamics. The MK 100 ABS Entry has been designed for the vehicle segments A, B and C in the growing markets. “India tops the list of nations in total number of road fatalities. The widespread use of ABS, airbags and ESC in vehicles can contribute considerably to reducing the number of serious injuries and fatalities on Indian roads”, said Claude d’Gama Rose, Managing Director, Continental Automotive Components India. “With decades of experience in this area, Continental offers a portfolio of high performance and advanced products which can contribute to greater road safety,” he added. The task of an Anti-lock Brake System (ABS) is to maintain braking stability and steering ability while braking on all types of road surfaces. ABS systems allow for the maximum braking effect without the risk of the wheels locking up. ABS therefore improves the vehicle stability and steerability. In order to achieve this, the electronically controlled braking system captures the speed on all four wheels and calculates the optimum slip conditions by regulating the braking pressure on the individual wheel. Continental’s ABS solution is both modular and scalable, and can be customized for various control strategies for both, two- and four-wheelers. Passenger car ABS and ESC will be produced locally at the Continental plant in Gurgaon. The MK 100 is based on a modular product family and can be scaled as desired. With the MK 100 ESC safety and assistance functions can be configured. Electronic Stability Control (ESC) supports the prevention of critical vehicle states. The system constantly evaluates the data from the wheel speed sensors, the steering angle sensor, the yaw rate and lateral acceleration sensor and compares the driver’s input with the vehicle’s actual behavior. If an unstable state is detected, for instance as the result of a sudden direction change, ESC responds in milliseconds and stabilizes the vehicle through wheel-specific brake intervention and adjustment of the engine torque. At the same time ESC is a prerequisite for further safety technologies like Advanced Driver Assistance Systems. Based on ESC, surrounding sensors like radar, camera and lidar technology are required for new predictive driver assistance systems which can further enhance road safety. A glance at the statistics shows how important ABS is alone for motorcycles. In India, 32,524 lives were lost, and over 127,000 people were injured in two wheeler accidents in 2014. Awareness and enforcement are critical in improving road safety. The recent draft notification from the Indian Ministry of Road Transport and Highways mandates that two wheelers with an engine capacity exceeding 125cc manufactured from April 1, 2017 need to be fitted with anti-lock braking systems. All existing two wheelers exceeding 125cc need to be fitted with anti-lock braking systems from April 1, 2018. With this, the first solid steps have been taken towards achieving the goal of “Vision Zero”, the vision of accident-free driving, on Indian roads.